Fernando Alonso believes McLaren has the potential to both claim fourth in the 2016 constructors’ championship and focus on the major change required for the 2017 Formula 1 season. After finishing ninth last year, the worst position in its illustrious history, McLaren is making progress this season and is currently seventh, 57 points behind fourth-placed Williams. Alonso sees no reason why McLaren cannot become the best of the rest behind Mercedes, Ferrari and Red Bull this year, although he recognizes the challenges given the need at some point to fully concentrate on development for 2017. 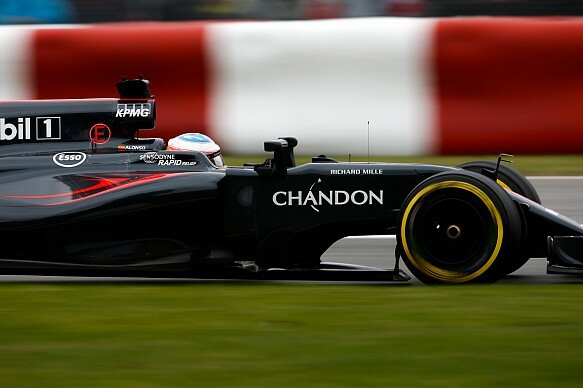 Asked whether McLaren could end up fourth, Alonso replied: “I think so. I think at some circuits we could be more competitive than others. “But, it’s a different situation because next year the regulation change has some implications in terms of how much you develop this year’s cars. If we were in a normal situation we could keep improving and finish close to the top three teams. “Next year’s regulations require a job to do, and all the teams will stop the development of this year’s cars and maybe we will get stuck at this performance level for the second part of the year. Let’s see, but what is clear we are growing, we are moving in the right direction, with a lot of things coming this year that will make us more and more competitive. Alonso feels McLaren has the resources in terms of finances and manpower to continue to develop on two fronts for both this year and next. “Definitely, you have some areas you have an advantage this year and next year, like on the fuel, the power unit, in some aspects also on the mechanical side of the car,” added Alonso. “We need to combine these two things, and also for the team it’s important this year to finish as high as possible in the constructors’ championship.